Which of the “Big 4” accounting firms is right for you? Or better stated, which of the Big Four firms will pay you the highest salary!? This article is a breakdown of the Big 4 firms, the average starting salary range for each of them, and some additional factors that help determine the size of your starting accounting salary. Also known as Deloitte LLP and Deloitte and Touche LLP, this is the number one firm in the world. The secret to its success is that over time multiple smaller firms were absorbed by Deloitte, either through a merger or complete buyout. As a result, Deloitte is a very powerful and successful firm, able to offer a very generous tax accountant salary for prospective employees. The average Deloitte starting salary for an employee is in the range of $45,000 to $60,000 annually. In order to get a starting salary on the higher end of that spectrum, it helps to take part in a university program run by Deloitte, and to pick a location in a major metropolitan area such as New York City, their central location. An employee with less experience or from a less urban location can expect a salary on the lower end of the spectrum, but with yearly promotions and advanced certifications, this is sure to change over time. PwC is the fifth largest privately owned company in the United States, and the number two accounting company in the world. With more than 180,000 employees and an average annual profit of 31 billion dollars, they are a solid choice for enterprising accountants looking for a job. A PricewaterhouseCoopers starting salary would be in the range of $48,000 to $68,000 for a position as an accounting associate. The factors that influence the size of a PwC salary are location (similar to Deloitte, this company is based in New York) and prior experience. Some other ways to ensure a higher starting CPA salary are if you work as an intern with them, or if you take advantage of their training programs and seminars. PricewaterhouseCoopers features a robust training program for aspiring employees, but unlike Deloitte, they offer their programs free of charge and open to anyone. Ernst & Young (E&Y), the number three accounting company in the world, was founded in 1989 after a merger of Arthur Young & Company and Ernst & Ernst. Although they have struggled in the past, recent acquisitions in Denmark have resulted in a terrific past few years, with annual profits of around $26 billion. They have locations all around the world, but their main office is located in London. The average certified public accountant salary for this company is in the range of $40,000 to $63,000 for an entry level position. In addition to being a very popular place to work at and a successful company, Ernst & Young is well known for its employee diversity, so if you are looking for a diverse work environment you would benefit from applying here. Some ways to ensure a higher starting salary are to be located in one of their major locations (London and New York), or to attend one of their numerous college recruiting events. Unfortunately, these events are not public or free like PwC, but they are still definitely worth looking into for enterprising accountants. Having originated in Amsterdam, KPMG is a large accounting organization with locations in the US, China, and India, to list only a few. They have over 150,000 employees on their payroll and report an average annual profit of $23 billion. A tax accountant salary at KPMG averages in the range of $46,000 to $62,000. However, after around 5 years of working there, the average salary shoots up to around $106,000, so it pays to stick around. Some other methods of ensuring a higher starting salary are taking advantage of their free online training resources and attending one of their college classes. Similar to Ernst & Young, KPMG is frequently listed as a terrific diversity hire, with a very culturally diverse working environment. This is due to their international offices, meaning that potential employees can benefit from higher starting salaries if they are located in China, India, or Europe, not just New York City. Something to keep in mind with accountant’s salaries are that they don’t stay at one level for very long. Hard working, dedicated employees at any of these four firms can expect to move up the ranks very quickly, with noticeable pay increases along the way. Even if one firm has a lower starting salary than some of the others, or if your starting salary is lower than you may have hoped, know that the amount you make annually is likely to change for the better, fairly quickly. One thing all these companies have in common when looking for employees is an accounting or finance degree from a reputable school, a few years of experience or an internship, and their prospective employee being located in a metropolitan area such as New York City. Keep these things in mind, and you should find yourself with a cushy accounting job right out of school, especially when you’ve got that CPA license in sight. Does getting your CPA mean that you’ll earn more than your non-certified counterparts? The answer is definitely yes, but exactly how much more is tough to say. Before we delve into the numbers, the “typical” career path for people who pass the CPA exam varies quite a bit. Regardless, if you become a CPA, over the course of your career, you could be earning well north of $1 million more than if you never started that CPA review course. But, since you’re likely a numbers person, why don’t begin to examine some of the data available to us. If you’re an accountant, the projected career earnings are still pretty high. Over the course of your career, you will be well into the six-figure salary range, especially if you take on a senior management position. In fact, even if you hover only around the Senior Auditor position and don’t take on any management role, you should be earning north of $5 million for a 40-year career (this number can be adjusted upward if you account for inflation). If you’re a CPA, the same intangibles are going to play into your overall salary, but you can definitely expect an upward trajectory toward the top positions within the company. You should be in an upper level role 10 years into your career, meaning you’ll be earning $10,000-$20,000 more per year, at a minimum. In fact, that number could be $50,000-$60,000 per year higher if you’re at the senior manager level. If you take that CPA and turn it into a corner office or a c-suite position, there’s really no telling how much more you’ll be making. 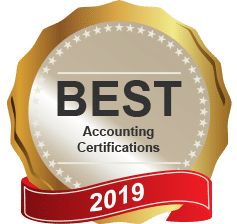 The point is, at a minimum, you’re likely going to be making $1,000,000 more than not certified accountants if you get your CPA. 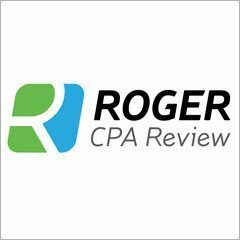 Becker analyzed the 2017 Robert Half Salary Guide and found that CPAs will earn over $1 million more than non-CPA designated accountants. Wiley Efficient Learning did a similar analysis and found that accountants will earn $1,000,000 less than their CPA counterparts. It really comes down to asking yourself why you wouldn’t get a CPA. Sure, there’s some expense involved with getting one—it ends up being $3,000-$7,000 when all is said and done—but your long-term earnings are drastically higher than if you were never to pursue the certification. Even just the initial bump in salary is significant. When you look at Indeed’s breakdown of accounting salaries, CPAs outperform any of the other accounting jobs. There’s such a higher ceiling for CPAs, but even the initial bump in salary should be enough to motivate you to get out there and start studying for the CPA exam right now! Is it worth it to become a CPA? I certainly think so! Whether you want to make $1 million more over the course of your career, or you just want increased responsibility and potentially an executive position, passing the CPA exam is a life-changing event. While it’s not easy, ordinary accountants have turned themselves into CPA all-stars by simply putting in the effort to do so. So, let me help you through the process, and let’s get you started on the path to becoming a CPA. If you’re ready to make $1 million more than your current career path, scroll down and see how you can reach this point. The first step is to see if you qualify for the CPA exam. The application process is intensive, so it’s necessary to see if you check all of the boxes and fill out all of the requisite forms and paperwork. I’ve outlined the CPA application process in this post so you don’t have to scour the AICPA and NASBA sites for information. After you submit all of your paperwork, you need to get a CPA review course. Choosing the right prep tools is essential to passing the CPA exam, as it’s nearly impossible to do so if you don’t have materials that adequately prepare you for the test. Look through my guide to the best CPA review courses and figure out which one aligns with your skill set and learning style. While you’re selecting the best CPA review courses, you’re going to see quite a disparity in pricing. Don’t worry, if you’re concerned about paying too much for a course, I’ve got the best CPA review course discounts in the business. Check out my CPA promo codes and discounts page to save money on some great products. Step 4: Join the Club! I am B Com Graduate with 4 years of experience in small accounting sector. How can I get job at Big 4. Send in your resume and request and interview! Do whatever it takes to get in front of the people in charge of hiring at a location near you and then have a killer interview! Don't pay attention to the salary stats. I started for one of these firms at the bottom of the list in the Midwest (so it's not an inflated NY salary) and was offered $68k. I now make $90k after 1.5 years of working there. It depends on your ability, not the firm.